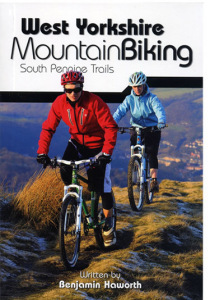 Starting Point: Blazing Saddles Hebden Bridge or Blazing Saddles MTB Centre. 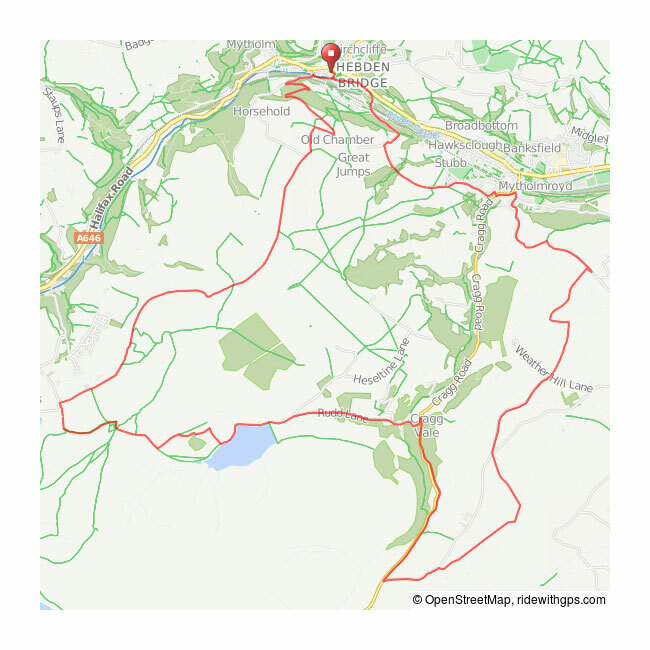 Direction: The route may be ridden clockwise or anticlockwise, although it’s probably easier and more enjoyable to start in Hebden and go anti-clockwise. It means the main climbs are on easier terrain and ensures you don’t miss the fast techy descent into Mytholmroyd down Stake Lane. (Shown on Elevation Profile). Either way be prepared for some steep climbing, and some fun descents. With your back to the shop, turn left along Market Street, left at the Co-op then first right up New Road. The road switches back on itself, ignoring the steep straight road ahead (Horsehold Road), and climbs the zig zags, up past the radio mast, until it meets Back Lane. Turn right, stopping if you fancy at the Honesty Box for a quick ice cream. Follow the main track as it climbs rockily, and turns right onto the flat. This is Kilnshaw Lane, (the Old London Road). Follow this track all the way along, to a large gate with Stoodley Pike ahead of you. It’s downhill now, and the track sweeps down underneath Stoodley, and continues all the way down until you reach Mankinholes Bank. Admire the stone sheep, then turn left here, through the gate, and then left again. You are now at the bottom of the Penny Steps. Be prepared for a bit of bone-shaking, although this is nothing compared to riding down them. They’re not that steep, but the climb is a long one, and some of the cobblestones jut up to make little testing steps. Push on to the top and you’re rewarded with stunning views across the valley and a good chance to catch your breath. Continue along the cobbles passing the mini Stoodleys, to Withen’s Gate. Just through the gate to the left is the Te Deum stone, where coffins would be rested during their long journey being carried over the moors. 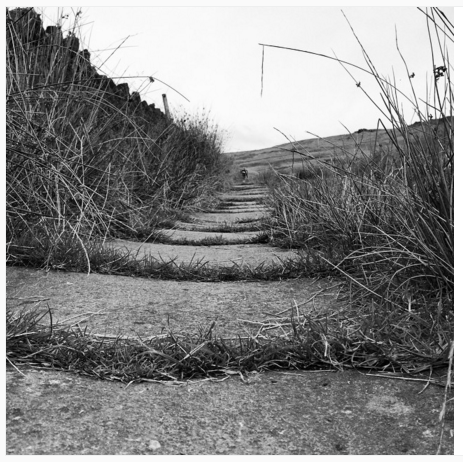 Follow the track along and down, left at the next gate, through a couple more gates and continue down to the final gate by Withen’s Clough reservoir. Turn left onto the reservoir track and follow it along until it joins the road by the Yorkshire Water car park. From here the road swoops down fast all the way down, past a couple of houses until a sharp left turn takes you past the Hinchcliffe Arms pub. Follow the road over the bridge and up the steep short climb to Cragg Road. Turn right up the road as it winds through the last houses of Cragg Vale, past the bus turning circle to a left turn signposted Little Valley Brewery and Sowerby 4 miles. A short way along is a right hand turn. Here’s the chance for a short detour straight on along New Road to the cafe and Blazing Saddles bike shop. From here you can rejoin the route a little further along New Road, or retrace your steps to the right hand turn. The right turn takes you down a gated farm track. The track turns left and just before a hairpin, head off on the bridleway straight ahead which becomes a walled farm track. Keep straight along this, ignoring turn off until a t-junction of paths. Turn left to follow another walled track, through a gate and ahead with the wall only on the left now. Continue through a gate onto a stony farm track which joins Clattering Stones Road by a farm. Pass through the crossroads onto Coppy Nook Lane which runs all the way to Far Moorside Farm to become a bridleway. Follow this down to a t-junction to a track called Bridleway and turn left. The track then continues past a farm and a fork right as it dog legs right and becomes Miry Lane, and swoops down to a t junction at Stannery End Lane. Turn right and immediately left onto Stake Lane which soon becomes Scout Rock Trail. The path heads on down to a sharp left hand bend and a techy fast downhill. Some work has recently been done on this very eroded track and some of the deeper gullies filled in, but the recent floods put paid to that and at the time of writing the path is once again a challenging rooty and rocky descent. It brings you out onto a fast road descent through the top of Mytholmroyd, past the Methodist Church to the bottom of Scout Road at the junction of Cragg Road. Turn left and next right onto Stocks lane just before the gallery and old fire station. At the fork turn left and head slightly up and along Nest Lane, then straight onto Park Lane and then a track called Wood Hey Lane which eventually joins Spencer Lane at a T junction. Turn right down Carr Lane which becomes Wood Top Lane, and descend steeply down the hill, forking right and under the railway bridge beneath Hebden Bridge Station. From here continue along the rough rocky track and turn right at the end to rejoin the main road in Hebden. Turn right to Hebden Town Centre. Refreshments: Numerous cafes and pubs in Hebden Bridge, and half way round, Craggy’s Cafe at Craggs Country Business Park, a minute or two from the route, and next door to to Blazing Saddles MTB Centre. 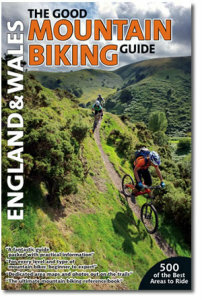 We sell a great range of local route books, tried and tested and recommended by staff and customers alike. 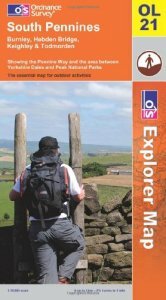 These are just a small selection: The South Pennines map in particular is a great starting point for all your local adventures. Calderdale Council has some good advice on where to ride and how to check if your route is permissible. 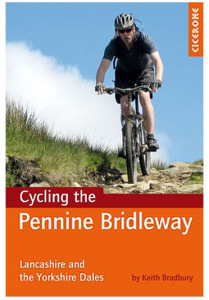 Their page on Cycle routes and facilities is also worth a visit. Cycle Calderdale is an excellent resource too, and has routes for every kind of rider, and includes routes for Mountain, Road, Family and Triathlon. A highly recommended site.